We all know how important it is to look after our skin, right? It's something you appreciate as you get older (I'm only 31 so not over the hill and far away in any way, but still, my skin is starting to show its age) and something many of us will think about a lot. I try to have a good skincare regime but like with most of my good intentions, I find myself slipping now and then and one lazy day can turn into a lazy week and that can turn into... you get the idea! Lack of sleep, dehydration, sun exposure, wearing make up every day - it all can take it's toll and call it vanity, but I'm even more away of how my skin looks with every birthday and every new crease or crinkle. Despite having lines and skin that needs some real nourishment and some anti-ageing help (don't we all?? ), I also have quite an oily t-zone which isn't helped by the warmer (ha!) weather. But I have been using for around six weeks my Artistry skincare range and when I'm good, this stuff is very good to me too. 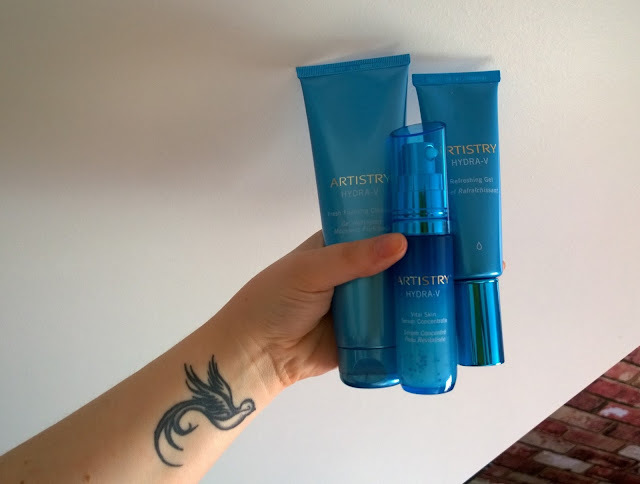 I've been using their brand new Hydra-V collection every day, starting with their Fresh Foaming Cleanser then applying the serum followed by the light Refreshing Gel moisturiser. 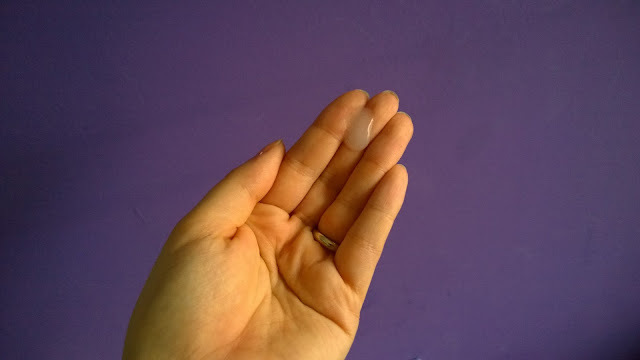 I like how gentle the foaming gel cleanser is and I use this after I have removed my make up with an oil or cream cleanser, then use it again in the morning for a quick refresh. It's effective yet gentle and doesn't anger my sometimes sensitive skin. The serum feels lovely and light on the skin and sinks in quickly, which is great if you're in a rush. Then to finish, the refreshing gel moisturiser gives me some needed moisture but leaves a matt finish, making it a good base for make up. It definitely sinks into the skin rather than leaving me feel like I'm oily or caked in cream, which it good for my skin type and for the summer months too. This has been my first introduction toArtistry, one of the world's best-selling premium beauty brands that's sold through local reps, and I have loved using the Hydra-V trio (price point is around £30 for the moisturiser, so more premium than high street brands but they're really effective and last ages - I still have plenty left after six weeks of continuous use). I've really enjoyed my introduction to Artistry and I'm keen to find out more about the brand and other products in the range as a result. Whether you use a fancy serum or indulge in a hydrating mask twice a week, you must give your skin some goodness to help boost its health and appearance. 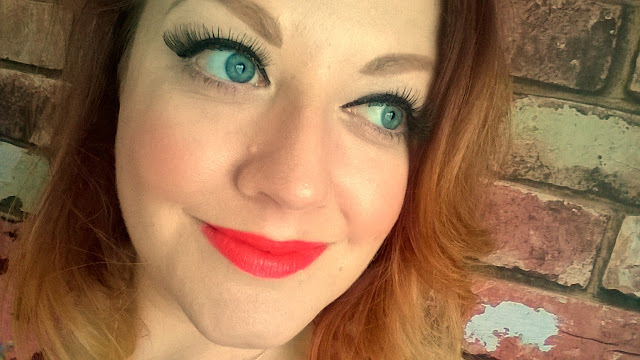 *Note: thank you to Artistry for the samples - my skin is very grateful indeed!